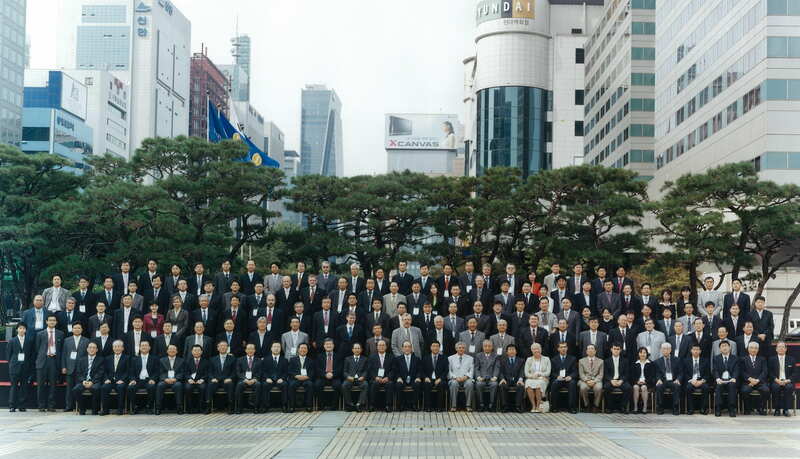 From 27-29 September 2005 in Seoul, Korea, some 200 participnats who are representatives from industry, government, international organization and academia in Northeast Asian countries, Russia, China, Korea, Mongolia and Japan - and other part of the world gathered and exchanged their views, future visions and the latest information on natural gas and its infrastructure in the region. This conference is the most important gathering on Northeast Asian natural gas in 2005 and it focused on the natural gas projects in the region, especially on east Siberia and the Far East of Russia and the northeast Asian countries' policies on promotion of natural gas use and pipeline network development. For the outcome of the conference, click here. to contribute to the rapid promotion of the operational Northeast Asian Natural Gas Pipeline Network.